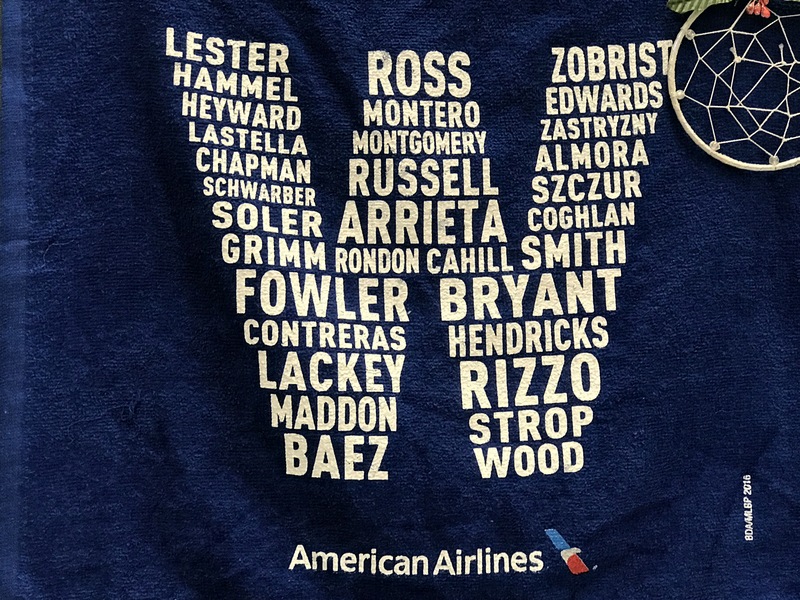 You are currently browsing the tag archive for the ‘Cubs Chronicle’ tag. “Sometimes you win. Sometimes you lose. Sometimes it rains.” Bull Durham. Today’s installment turns out to be an unintentional salute to perhaps the best baseball movie ever made. As if there’s not enough drama already for Cubs fans for what could be an NLDS deciding Game 4 versus a formidable opponent, today’s game is postponed by rain. I can’t imagine how the players feel. So we wait. We wait for game four. 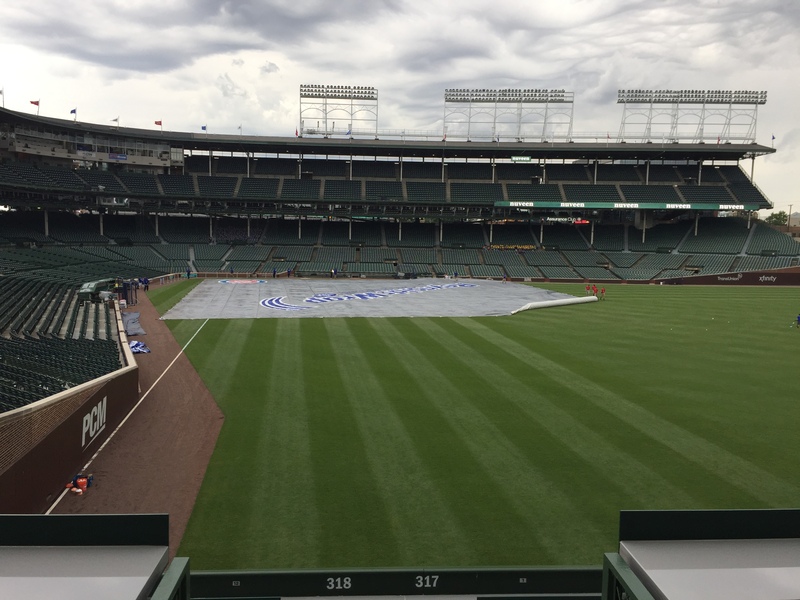 It’s the first Cubs post-season game in history postponed by rain. I don’t know that for sure. Usually I do diligent research to come to such conclusions, but this time I didn’t. So, if I’m wrong, let me know. As WGN TV used to do during rain delays back in the day, let’s flashback to Monday’s thrilling victory. Keeping with the theme, let’s invoke a “Bullish” analogy. 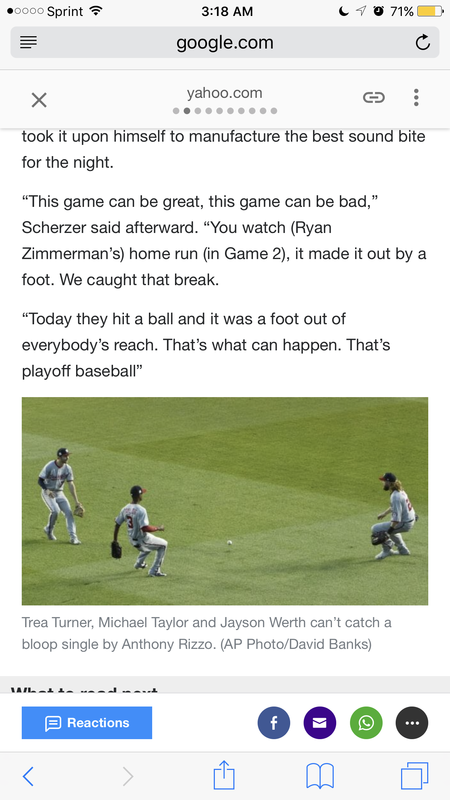 In game 3 yesterday, in the bottom of the 8th inning, with the score tied 1-1, two outs and a runner on second base, in a crucial game 3 of the NLDS, a fortuitous pop fly changed the game and Anthony Rizzo got ALL of those in ONE HIT. Rizz hit a dying quall flare into left center field that screamed, “Respect Me” as three Nationals converged on the ball. But, they all stopped at once as the fly ball with eyes dropped to the ground untouched amidst them as what proved to be the winning run crossed the plate from second base. I watched the replay almost as much as Jim Garrison (Ironically also portrayed by Kevin Costner in the movie JFK) watched the Zapruder film. The blooper dropped perfectly between a triangle of Gnats. This is the best picture I could clip from the internet (The photographer IS credited). Perhaps this photo most defines this match-up and why I believe the Cubs will prevail and move on to the NLCS. Were Cubs converging on the same pop fly, I imagine a picture of players splayed out on all over grass making diving attempts at the flare ending up with Javy Baez catching the ball in his right armpit inches above the grass. “El Mago” saves the day. Baseball in October on the north side of Chicago. Does it get any better?